Apple-owned Beats has officially made available for sale its next-generation Powerbeats Wireless earphones, Powerbeats3 Wireless, with the new Apple W1 chip inside. After initially being announced during Apple’s September 7 iPhone event, Beats has now officially taken the wrappers off the earphones, meaning that they instantly become the second music peripheral to be put on sale featuring the innovative and highly impressive Apple W1 chip that introduces instantaneous and seamless pairing between the earphones and Apple’s other devices, such as an iPhone, iPad, Mac and more. 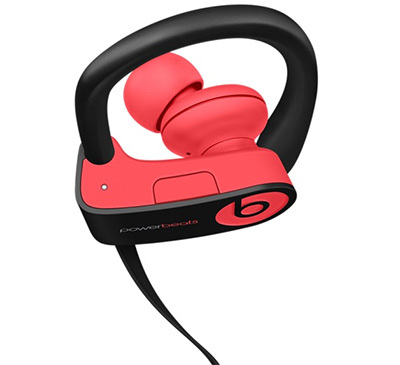 The Powerbeats3 Wireless makes it into the marketplace following the previous launch of Beats Solo3 on-ear headphones, which were also introduced during the aforementioned iPhone 7 event, and also come embedded with Apple’s W1 chipset. The latest Powerbeats Wireless will definitely appeal to those who like a good workout, either gym-based or something like running, and it offers an impressive 12-hour battery life on a full charge of the integrated battery unit compared to just 6 hours on the Powerbeats2 Wireless. And of course, not only are the earphones slimline, lightweight, and great to look at with an impressive battery life, but they are also extremely easy to pair with Apple devices, and are, of course, wireless. Given the fact that Apple decided in its internal wisdom to entirely remove the 3.5mm headphone jack from the iPhone 7, iPhone 7 Plus, and presumably every iPhone going forward, it couldn’t exactly allow Apple-owned Beats to start producing top-of-the-range headphones and earphones that relied just on that legacy port. Like most wireless headphones and earphones, Powerbeats3 Wireless will connect to a mobile device over Bluetooth, and although the design isn’t exactly unique or revolutionary, the fact that the earphones boast a 12-hour battery life is an impressive enough reason to be seriously considering making the investment. There’s also the Fast Fuel charge feature that gets them back up and running for 60 minutes within 5 minutes if any other selling point was needed. 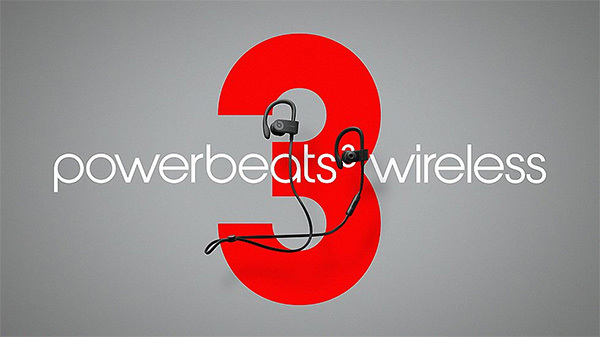 If interested, Powerbeats3 Wireless are available to purchase from the Apple Store with immediate effect, with delivery to be estimated at around the 3-5 day mark. Owning these gorgeous new earphones will cost $199.95, with a variety of colors available. Apple AirPods, the truly wireless earphones with Apple W1 chip, is scheduled for late October launch as well, though no release date has been set for them as yet. is the W1 chip a special chip that allows the government to log into your bluetooth headset?